The two main types of hand injuries leading to disarticulation (separation) of the joints of the wrist include crush injuries, in which the hand is unable to be saved due to excessive damage to the tissues, or a clean cut through the wrist or hand, severing all fingers, thumb, and the palm of the hand. 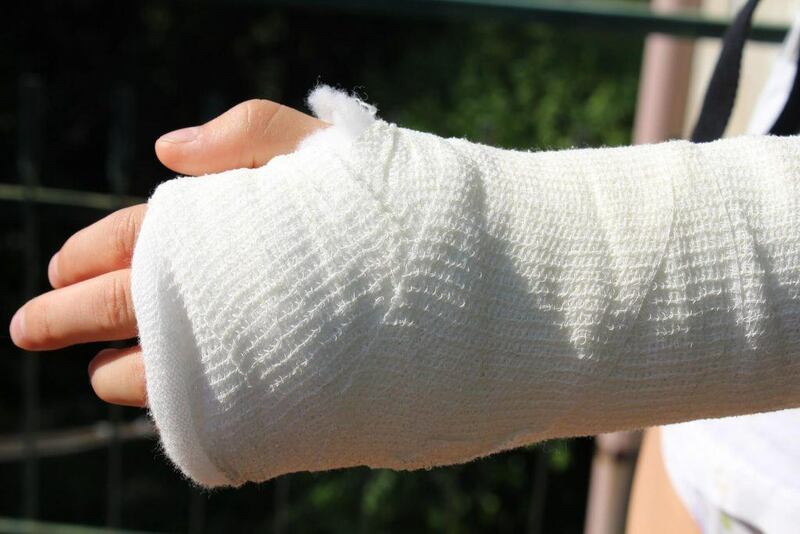 Doctors are left with finding ways to use the stump of the wrist to have a prosthetic device used to give the arm and artificial hand some residual functionality. With hand amputations, all dead and damaged tissue is removed. Because it may not be completely sure of which tissue will survive, and which tissue won’t survive, many amputations of the hand are done in stages with a closure of the wound performed only after doctors have decided that only healthy tissue is left on the stump. It is better to save the wrist in an amputation surgery rather than make a cut higher on the arm because wrist motion can usually be saved if the wrist is separated from the hand at the level of the carpus. If possible, the skin on the palm of the hand can be saved to nicely cover the stump with sturdy skin that can accept a prosthetic device. The muscles of the forearm are neatly attached to bones within the wrist itself so that the wrist can flex, extend, and rotate with palmar side down or palmar side down. If the wrist is saved, the person can often use the stump with the wrist intact in doing those activities that need two “hands,” whereas this isn’t the case when the amputation is higher up. With this type of amputation, a prosthetic device can be attached that is powered by myoelectric signals (muscle signals) or with a body-powered mechanism. Some people care less about the function of the hand than they do the aesthetics of the hand so that they choose a prosthesis with less function but that helps the hand look more normal. Most prosthetics are done on wrist disarticulations and “transradial” or below the elbow amputations. There are few prostheses for those who have an above the elbow amputation, in part because many times, doctors are trying to reattach or save these types of amputations rather than cutting off the arm above the elbow. One of the goals of arm amputations is to get a fitted prosthesis on the severed wrist or forearm as soon as possible—within thirty days of the amputation. This is better for the self-esteem of the person with the amputation and improves acceptance of the prosthetic device. Actually, when doctors use prostheses to attach to the forearm or wrist, it is done in five stages. There is the immediate prosthesis used in the first thirty days, which doesn’t have much functioning. After about 6-12 weeks there is a training prosthesis used that is body powered, followed by a permanent body-powered prosthesis. After 4-6 months, a definitive electronic device is attached, which will be the prosthesis type used over the long haul. Some prostheses are attached to the shoulder and back using harnesses. This allows for the best ability of the prosthesis to stay on and to function better. Other people use self-suspended prostheses, which stay on by themselves. Wrist disarticulation prostheses are often self-suspended, but because of the weight of forearm prostheses, some harnessing is required. Some prosthetics are very functional, such as a claw prosthesis. It can do grabbing and holding but is not aesthetically appealing. Another prosthesis, one that can be worn and used for a long period of time, involves the use of silicone covering that looks like a hand, and that is fitted with myoelectric electrodes that use muscles remaining on the stump to signal the myoelectric hand to close and open just like a real hand. Because it can be costly to use a temporary prosthetic device over just a course of a few weeks, many manufacturers have “artificial limb banks”, which lease out the various components needed to create the proper prosthesis for a specific period of time and that are then returned to the manufacturer after a newer type of prosthesis is given to the patient. In this way, the patient can, for a much lower price, graduate from the temporary prostheses to the permanent prosthesis after 4-6 months. Not everyone needs all of the stages required for attaching the final myoelectric prosthesis; depending on the patient, the myoelectric prosthesis is not the final one prescribed, but instead, the patient decides to use the body-powered prosthesis instead of the more advanced myoelectric device. The body-powered claw-type prosthesis tends to be preferable to some because it operates much faster than the full hand myoelectric device that looks better but has less functionality than a claw. This is an unusual procedure done on below the elbow amputations. During the process, the radius and ulna are separated from one another to form a two-pronged pincher device that is able to grasp onto things. The end result is a shorter arm but one that can use both the radius and ulna of the forearm to grab objects between the two bones. While the end result does not in any way resemble a hand, it functions like a hand that is just shorter than the other, normal limb. The Krukenberg procedure is used in parts of the world where prosthetics are too costly or are just unavailable. The muscles of the forearm are separated into those that attach to the radius and those that connect to the ulna to create a functional claw-like movement out of these two bones and their attached muscles. It makes use of the radius and ulna to form a forearm claw that actually works to grab onto things.